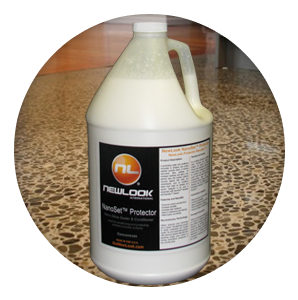 NewLook’s NanoSet Reflextion™ is a revolutionary polished concrete sealer and finishing conditioner formulated to enhance and condition architectural and commercial polished concrete floors. 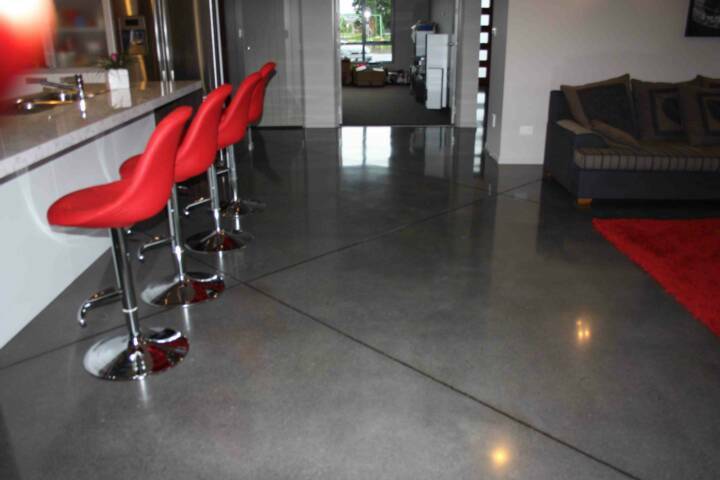 NanoSet Reflextion is used in conjunction with the NanoSet™ Concrete Polishing System as it is applied to polished concrete after the grinding and coloring process. 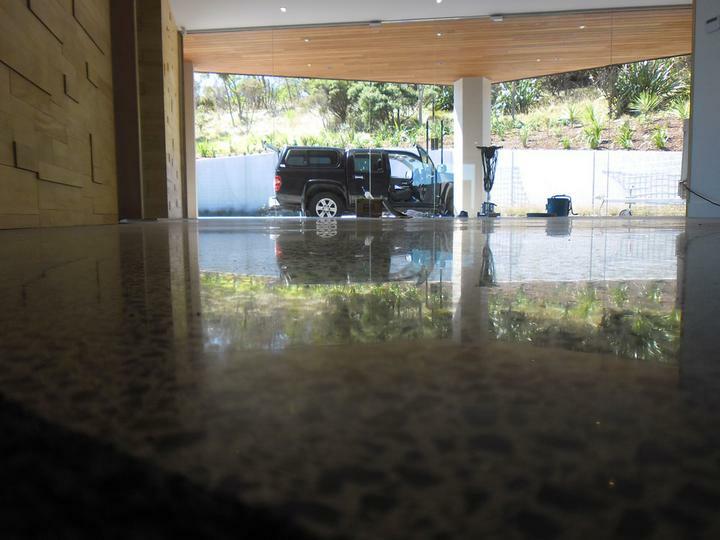 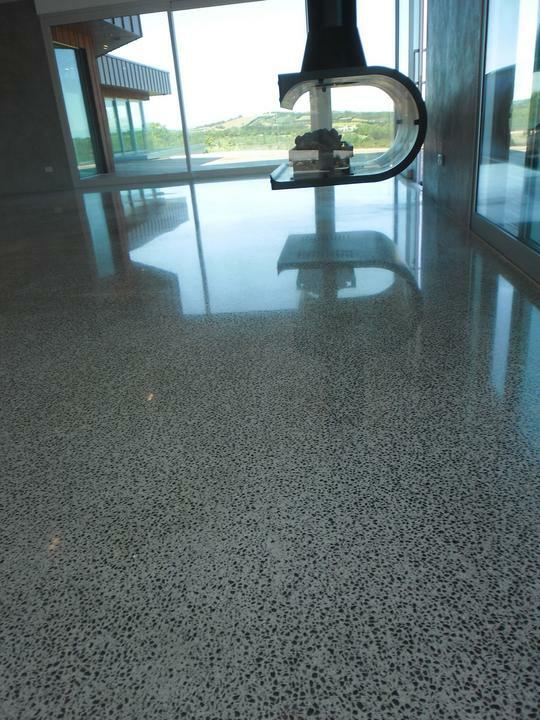 It introduces additional nano silica to the substrate, along with a thin, yet highly durable clear polymer layer that provides lasting protection to the polished concrete floor. 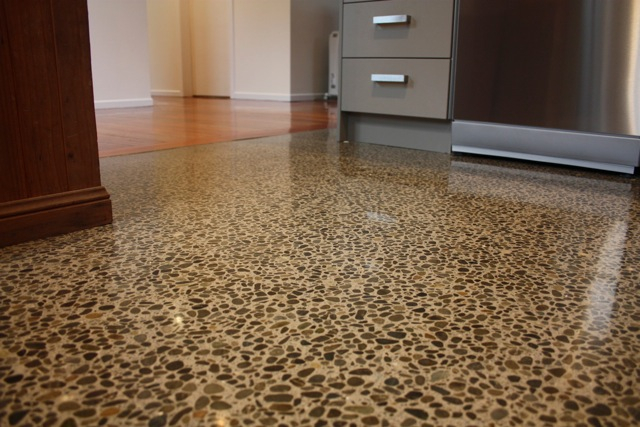 It also helps “bring out” the color of integral pigmented, stained or dyed concrete, creating a slight “wet look” that compliments exposed aggregate. 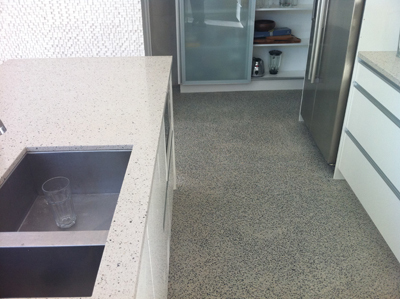 The polymer-based concrete sealer formula provides extra protection against accidental staining from spills. 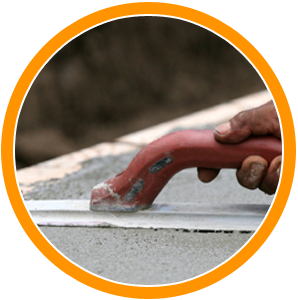 It is particularly useful against mild acids that might be encountered in environments where food is handled or served. 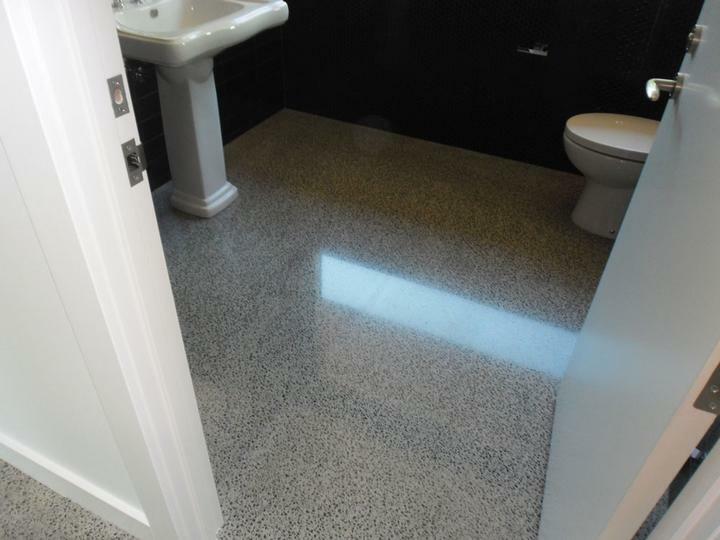 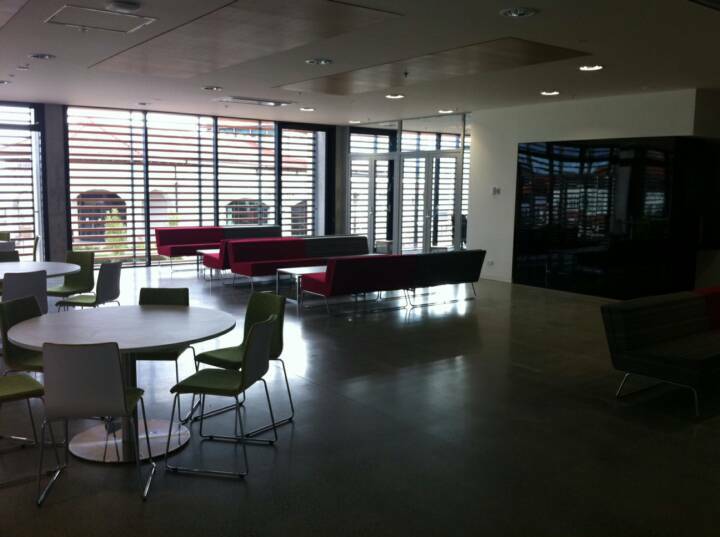 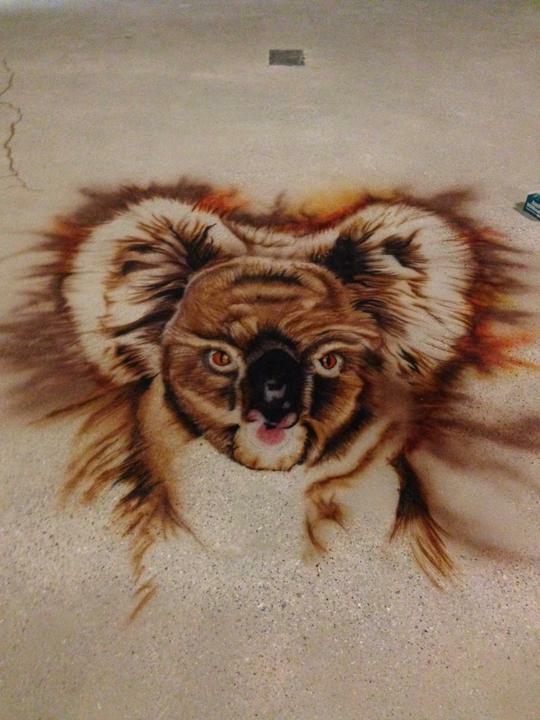 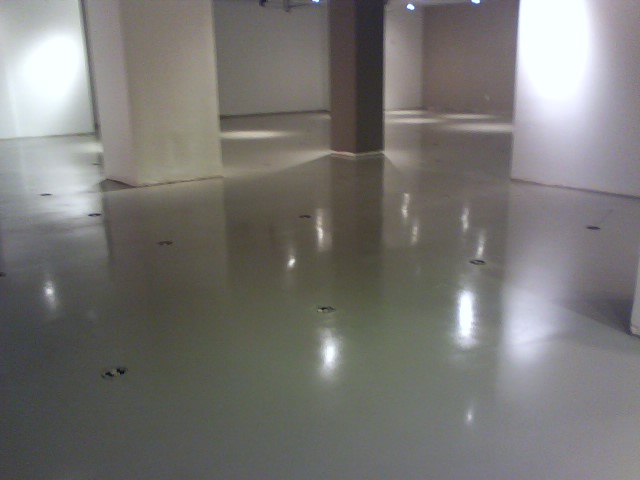 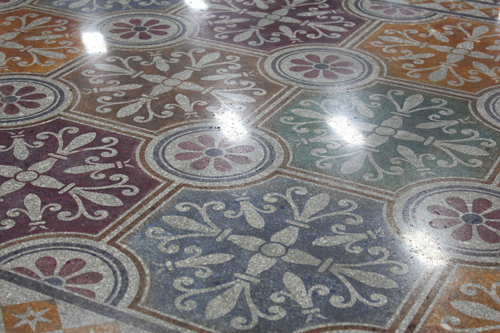 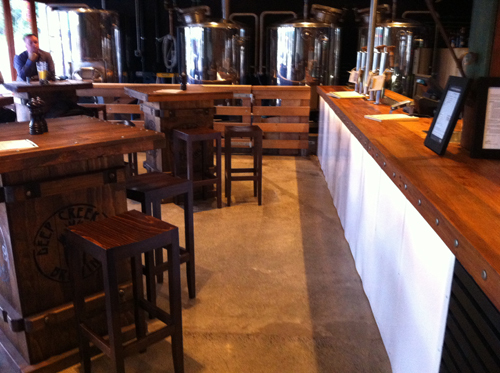 It can be easily re-applied to polished concrete floors for long-term protection. 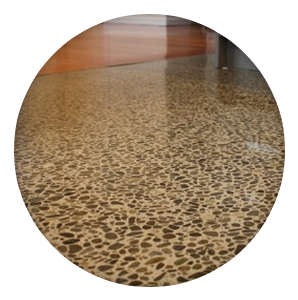 The NanoSet Concrete Polishing System utilizes a proprietary and green manufacturing process that leverages advanced, inert nano-technology to deliver sustainable and durable results. 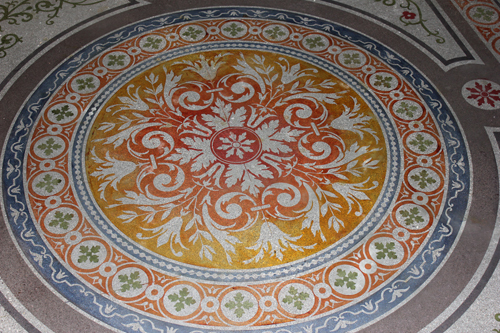 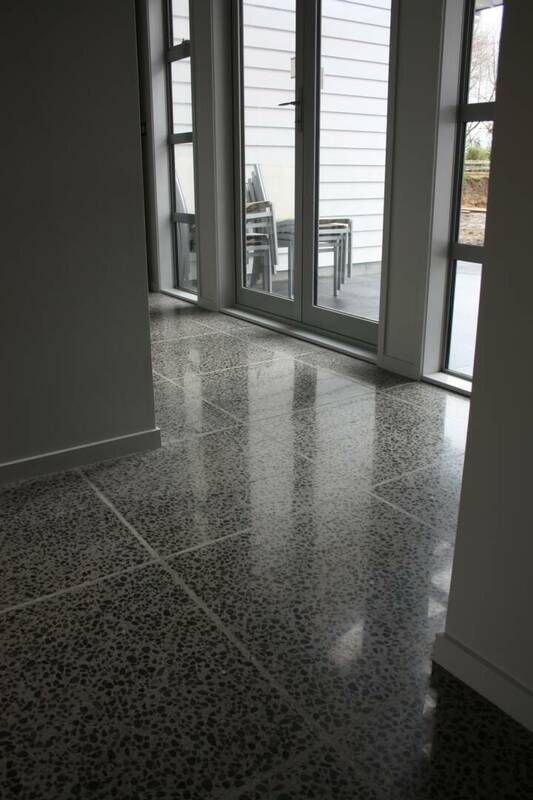 The concentrated dispersion of amorphous, nano-sized silica particles offer extensive chemical reaction-sites that penetrate deeply and start reacting quickly and more efficiently upon contact, forming calcium silica hydrate (CSH), strengthening the concrete matrix and increasing its stain resistance. 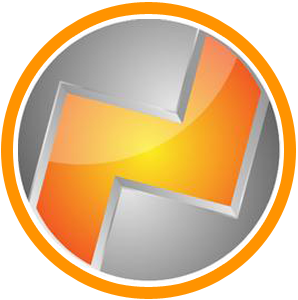 Grocery or big box stores. 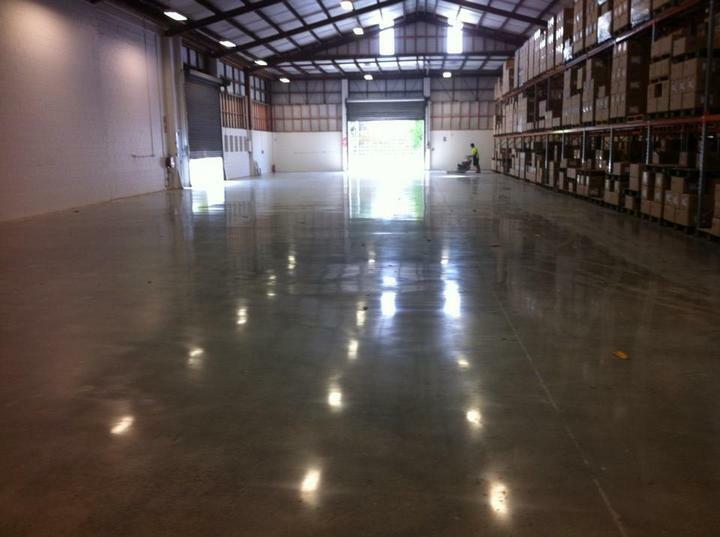 Coverage is approximately 1,500 to 2,000 square feet per diluted gallon. 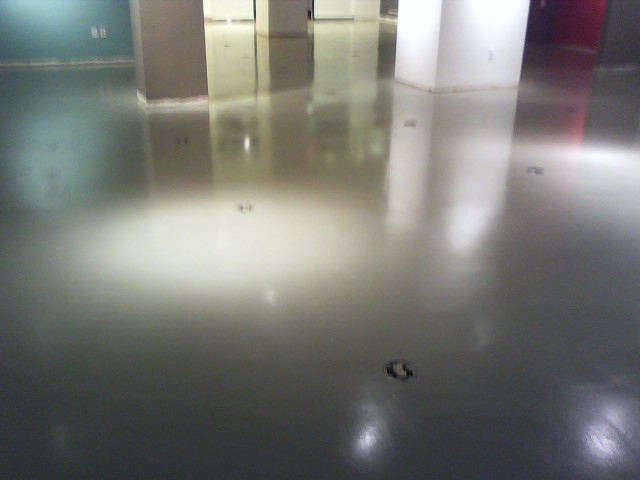 Dilute 1 part NanoSet Reflextion concentrate with 1 part potable water. 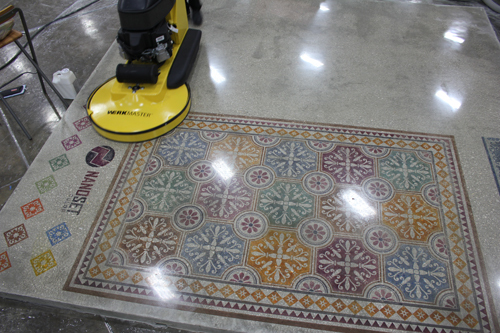 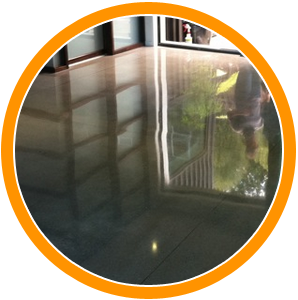 Complete all floor preparation including densifying, dying, and concrete polishing (grinding) before applying NanoSet Reflextion. 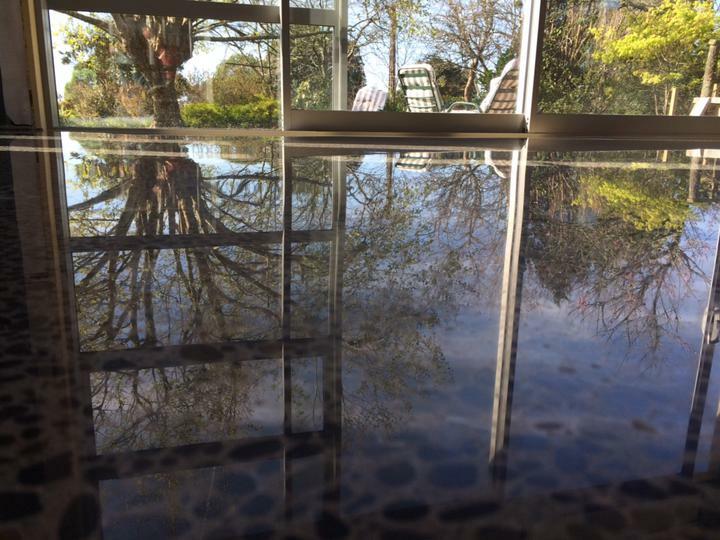 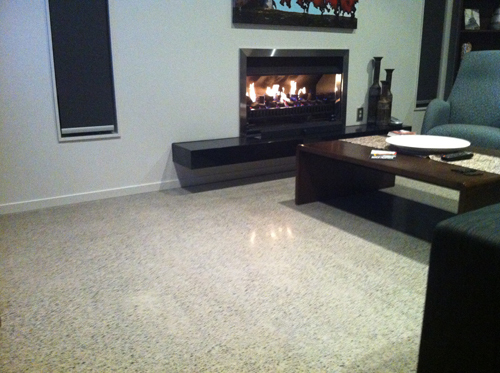 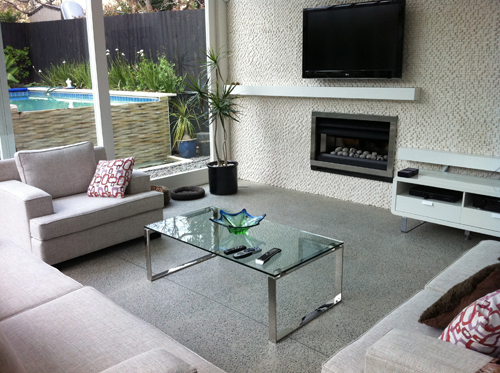 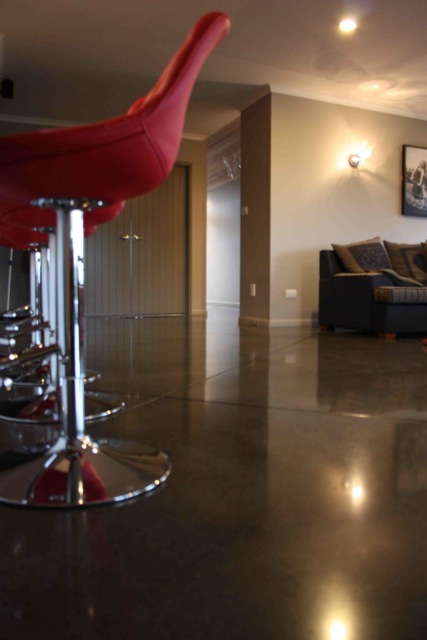 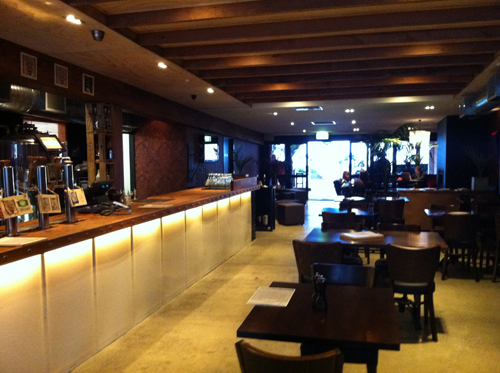 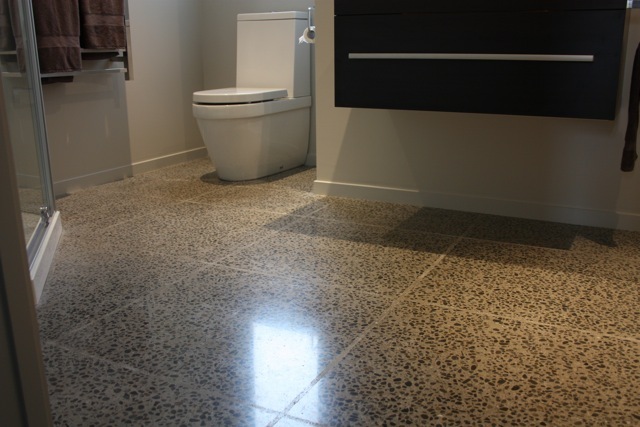 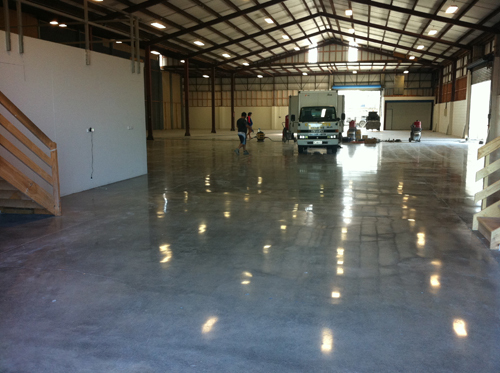 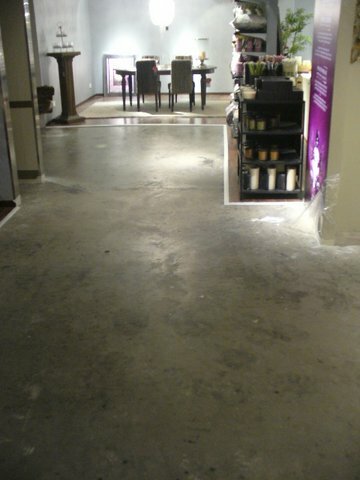 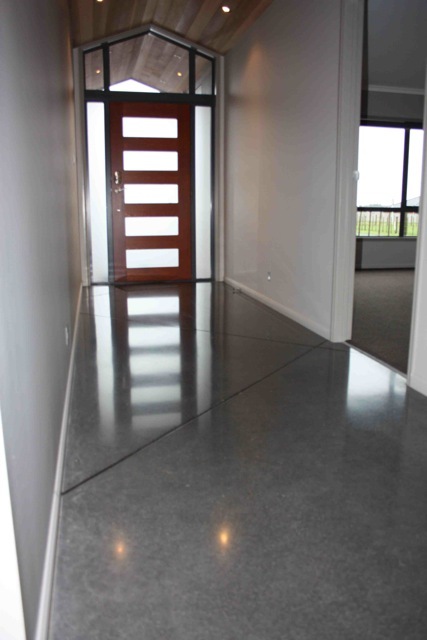 Clean the polished concrete floor to remove dust and debris. 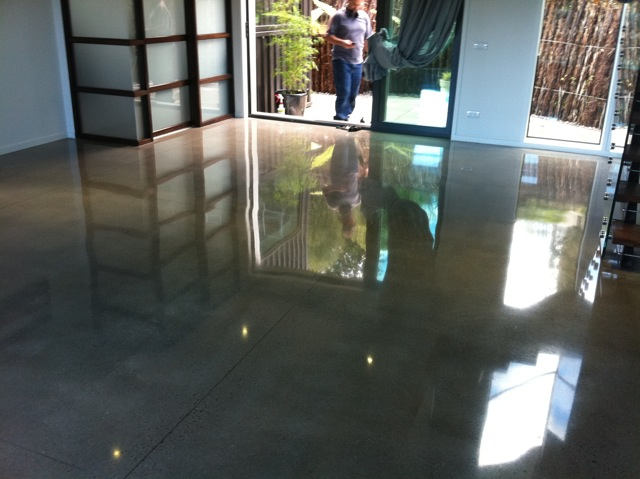 The polished concrete floor surface should be completely clean and dry before installing NanoSet Reflextion concrete sealer.